So it all started when my friend and I were watching InuYasha. 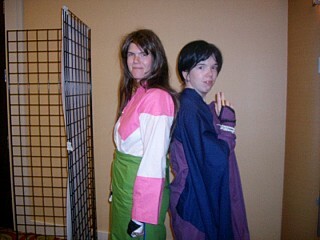 A few years before, she had wanted to cosplay Sango, but it didn't happen. 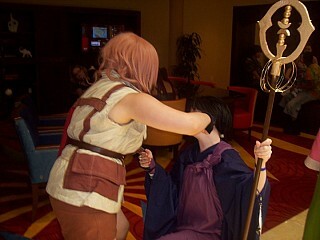 So when I said I would do Miroku with her, she got on the boat with me and I began the creating. I'm happy with how my costume came out. 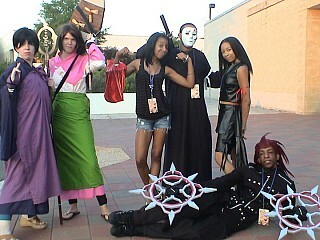 I ended up making InuYasha, Kagome, Sango and Miroku, so I prioritized their costumes above mine. I have a few nitpicking things I want to adjust, but it's small and I will do over time. 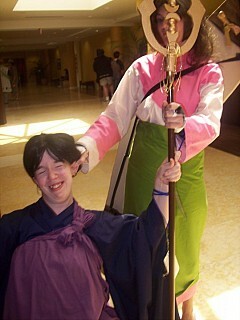 I had so much fun being Miroku, asking women to bear my child, then getting my ear pulled by Sango. 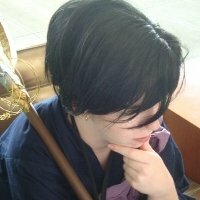 I will definitely cosplay him again! On to materials used: Broadcloth. And a lot of it. 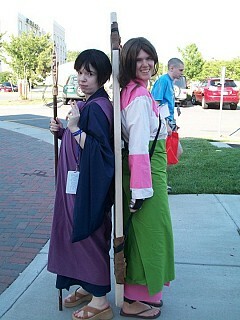 I made the staff out of PVC pipe, foam insulation board, and paint. 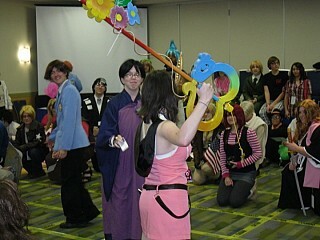 It broke the night before and I was doing so much I had to duct tape it... -_-;; it held up, though. And the gold rings were one strand of wire cut up. Looking for something better, maybe. But I like it. <3 Any questions on the costume, please ask, I will give any advice I can! Thowra Just amazing love it!